This beautiful piece from Grace Glass Satinated is a scientific straight beaker blown in 7mm high quality borosilicate glass. This model present beautiful satinated outside walls and a red logo Grace Glassin the middle. 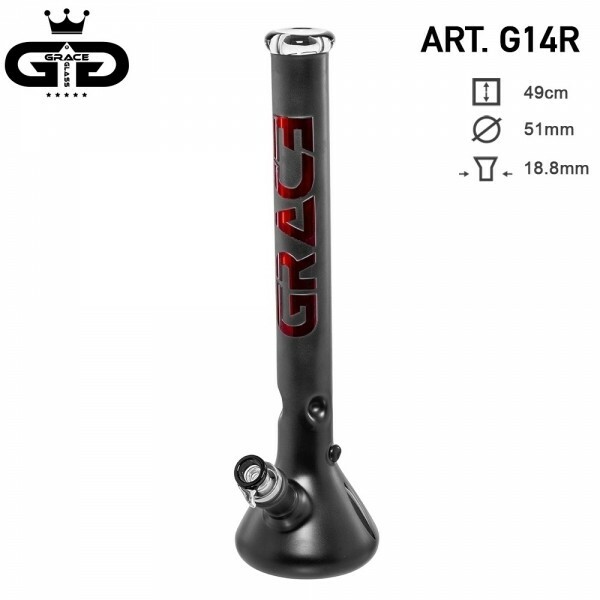 With an height of 50 cm this waterpipe come equipped of 3 ice notches for smoother sessions and a diffused downstem of 29.2 mm, a bowl with handle of 18.8mm. You can't miss this piece into your collection. Have a look at our website and discover all the new models!